There’s a way to use your Starwood points to get cheap award flights within the US (even Hawaii!). When you transfer Starwood points to Singapore Airlines miles, you can book award flights on United Airlines at a discount! That’s because United Airlines and Singapore Airlines are partners, and have access to each other’s award seats. But sometimes they charge different amounts for the exact same routes! I’ll highlight the best deals. And show you how many miles you can save! With the sign-up bonus of 30,000 Starwood points, you can get Starwood hotel stays or transfer them to ~30 airline partners. You can transfer Starwood points to ~30 airline partners. When you transfer at least 20,000 Starwood points to airline partners, you’ll get 5,000 bonus miles. Singapore Airlines is part of the Star Alliance, along with United Airlines. And with Singapore Airlines miles, you can book award flights for less than United Airlines charges for their own flights! For example, a round-trip Business Class flight within North America (which includes the mainland US, Alaska, and Canada) is 40,000 Singapore Airlines miles. And a round-trip First Class flight costs 60,000 Singapore Airlines miles. 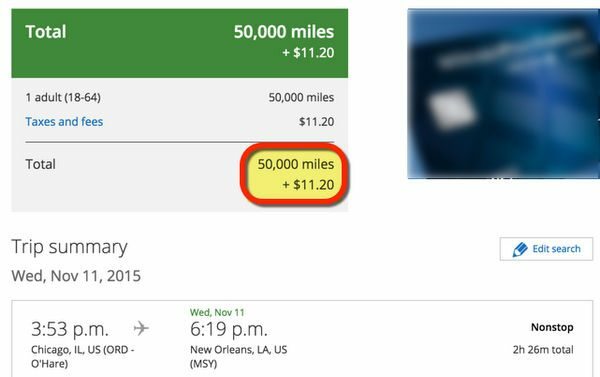 Round-trip coach awards cost the same with both United Airlines miles and Singapore Airlines miles. United Airlines Charges 50,000 Miles From Chicago to New Orleans in Business Class. But You Can Book the Same Flights With Singapore Airlines Miles for 10,000 Fewer Miles! United Airlines charges 50,000 United Airlines miles for a round-trip Business Class flight within North America. And 70,000 United Airlines miles for a round-trip First Class flight. In both cases, you’ll save 10,000 miles by booking with Singapore Airlines! For example, I found lots of Business Class award seats to New Orleans from Chicago throughout the rest of the year. 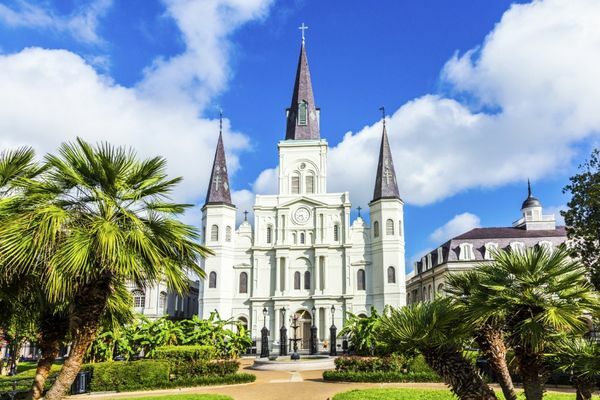 If you want to visit the Crescent City, you can transfer Starwood points to Singapore Airlines miles to get a discount on your flight! You can get the same price on any Business Class award flights within the continental US, Alaska, or Canada! Note: Do NOT transfer your Starwood points directly to United Airlines because they have a 2:1 transfer ratio. So it’s not a good use of your points! Even Better Discounts to Hawaii! 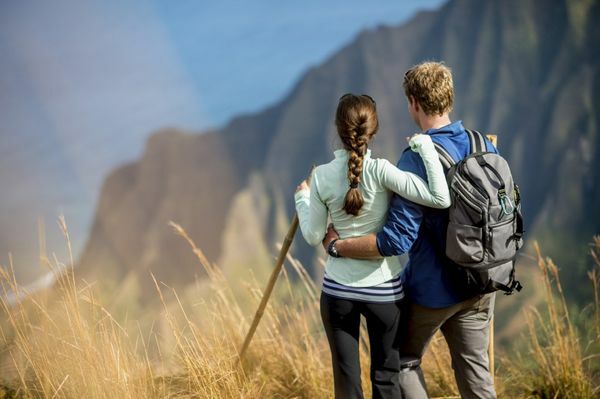 Saving miles is great, especially when it’s to a desirable tourist destination like Hawaii. You can book the exact same United Airlines flights using less miles with Singapore Airlines. 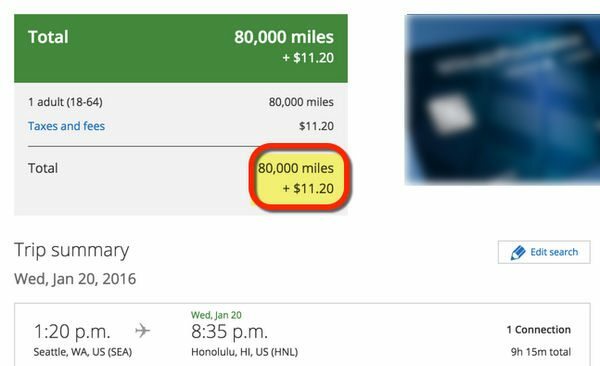 Fly to Hawaii in Business Class…and Save 20,000 Miles While Doing It! So you’ll save 10,000 miles when you fly coach. And 20,000 miles when you fly First or Business Class! When you book more than 1 flight, those miles can really add up! Even better, there are very low taxes and fees on United Airlines flights, usually ~$11 per person for a round-trip award flight. I found lots of Business Class award seats from Seattle to Honolulu in January on United Airlines. You’ll pay 60,000 Singapore miles and ~$11 for the same flights! First, transfer Starwood points to Singapore Airlines miles. Fill in Your Details and Click “Go.” That’s It! Be aware that it take ~1 to ~2 weeks for your transfer request to complete. So this is NOT a good way to book flights immediately. And keep in mind that you can also transfer to Singapore Airlines from AMEX Membership Rewards, Chase Ultimate Rewards, and Citi ThankYou points. So it’s easy to earn Singapore Airlines miles with lots of different points programs! After the transfer completes, you can find United Airlines award flights on United.com. Write down the flights you want. Then call Singapore Airlines at 800-742-3333 to book. Remember you can use ExpertFlyer to alert you when there’s an award seat available so you don’t have to remember to check! As I showed you, it’s only 35,000 Singapore Airlines miles to get to Hawaii in coach, round-trip. But the sign-up bonus is 30,000 Starwood points! Not exactly. Remember, you’ll get AT LEAST another 3,000 Starwood points from meeting the required minimum spending to earn that bonus. (If it’s the AMEX Starwood personal card. Or 5,000 Starwood points for the small business version.) So you’ll actually have 33,000 Starwood points in your account. You’re 2,000 Starwood points short, darn! Not exactly. Folks familiar with Starwood know the great thing is Starwood gives you a 5,000 mile bonus whenever you move 20,000+ Starwood points to 1 of their airline partners. 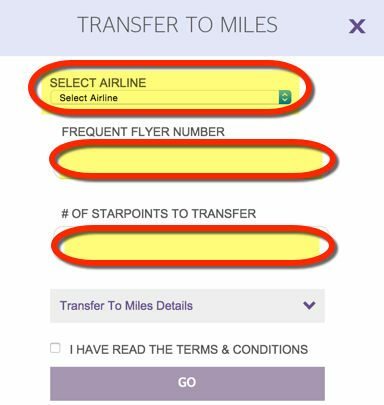 So when you transfer 30,000 of your Starwood points over to Singapore Airlines, you’ll find 35,000 Singapore Airlines miles in your account! 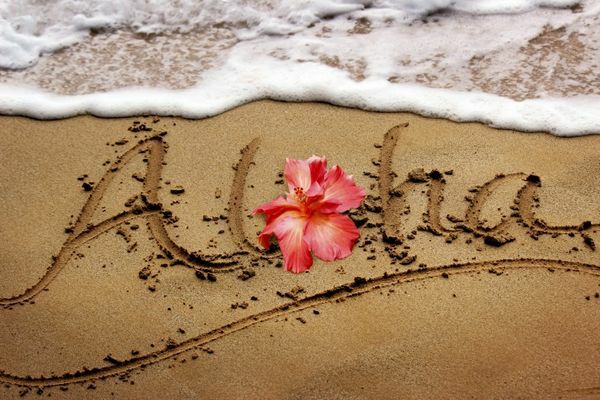 Say “Aloha” to that beautiful beach vacation! And back in your Starwood account you’ll still have 3,000 Starwood points remaining. For folks looking for Business Class flights to Hawaii that cost 60,000 Singapore Airlines miles, keep in mind you could get approved for both the personal and small business Starwood cards. Or if someone who lives in your house also has Starwood points, you might convince that generous person to transfer their points to your account. Or…you could add Singapore Airlines miles to your account by transferring your American Express Membership Rewards points, Chase Ultimate Rewards points, or Citi ThankYou points into their mileage program. Don’t want to mess with blackout dates or can only travel on very specific dates? Book any airline you want on any date through SPG Flights. Although, folks who like Starwood hotels will get much more from their points for award nights, especially with Cash & Points or with the 5th award night free. That’s because you might pay more Starwood points for your flights than if you transfer to a partner airline. So be sure to check the cost of your flights and do what’s best for you! And remember you can also transfer Starwood points to other airlines for domestic award flights, like American Airlines, British Airways, or Delta. Transfer Starwood points to Singapore Airlines to save miles on United Airlines flights. You’ll sometimes pay fewer miles than United Airlines charges for the same flights! You’ll save 20,000 miles on domestic First or Business Class round-trip flights. And when you fly to Hawaii, you’ll save 10,000 miles on a coach award flight, and 20,000 miles for First and Business class. Those discounts can really add up, especially if you’re booking multiple award tickets. Remember you can set alerts for award seats with ExpertFlyer. Let me know if you plan to book a United Airlines flight with Singapore Airlines miles! @Sarah, you can only book Singapore awards if they show up on the United site when you are NOT logged in. If you have a CC or status, there is.more award availability when booking directly with United. I just booked a four generation trip for 9 to Oahu through Singapore Air, it’s a great deal! @PSL – Yes, you can! @NoVA Rick – Only the Saver level awards are available to United Airlines’ partners. @Sarah – I’m not sure! You can always double-check the route on aeroplan.com, or ANA’s website. Or you could call Singapore Airlines and ask if they have award space on the specific flights that show up for you. I may be incorrect, but when I am on Expert Flyer, it does not let me search United Award availibility. When I check award availability on United, there are usually very few awards available until I log into my account and then a bunch of dates will open up (I have the United credit card so I guess this is why). Which availability will Singapore Airlines have though – the one non-credit card holders will see with fewer flights or the one with more flights? Does booking through Singpore give you access to United Airlines Standard (double miles required) awards or only the Saver awards?